Many people ask thousands of questions on how to stay warm during races to avert hypothermia. It’s funny as I have found the most important time to keep warm is after the race. As soon as you stop running and generating your own heat, you get cold. If you don’t have a quick plan to get warm and changed, this is when you can get in trouble…enter the dryrobe. Allows you to change: The most important thing to do once you are finished competing is to get changed, especially if your clothes are wet (as in 100% of any good obstacle race). Having a dryrobe allows you to do this quickly and efficiently without everyone seeing you and whilst protecting you from the elements. I once got completely changed within my dryrobe in a packed pub whilst watching the rugby. Everyone was none the wiser that for a couple of minutes I was stood there sipping my pint wearing nothing but the dryrobe! Warms and dries you: dryrobe uses a synthetic Lambswool which draws the water away from your skin, drying you instantly while insulating you and making you feel unbelievably warm. Unlike a towel which holds water close to your body making you colder, as it touches wet skin, it will warm you by wicking any moisture away into the heat insulating pile of the lining. 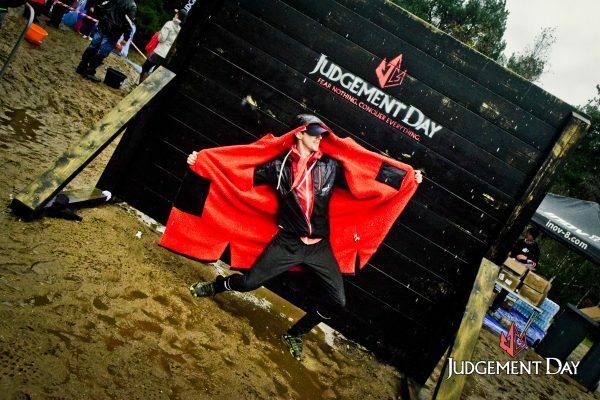 When competing in World’s Toughest Mudder a Canadian team member was sceptical about how the dryrobe looked. After 24hours of racing involving 135km of running and over 2km of swimming his exact words were ‘this is the best thing in the world’ as he was wrapped up in a dryrobe still in his wetsuit getting battered by a sandstorm that just blew in. Waterproof: Once you are dry and warm that’s exactly how you want to stay. It is for this reason the dryrobe is 100% water proof and completely windproof. 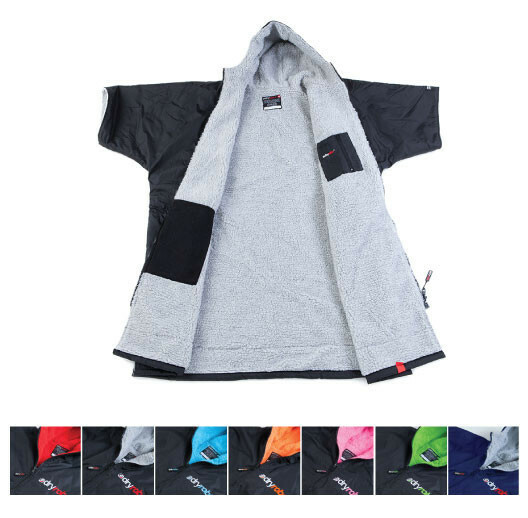 The seams are also heat sealed showing the dedication the dryrobe has to keeping the elements out and you dry and warm. Size: Many people have expressed that the dryrobe is ‘just too big’. It’s true that as it is the dryrobe is rather large, no problem if you are driving to your event but if you have to fly it can be cumbersome. This issue is solved pretty easily though; as someone who has flown to the majority of his events this year, I just got one of the compress sacks dryrobe sell. This keeps the dryrobe nice and contained and at about a fifth of the normal size. So to sum things up: I know two types of people in this world, those that own a dryrobe and those that don’t. And i guarantee that at the first winter race of the season, those that don’t own a dryrobe will wish they had one!